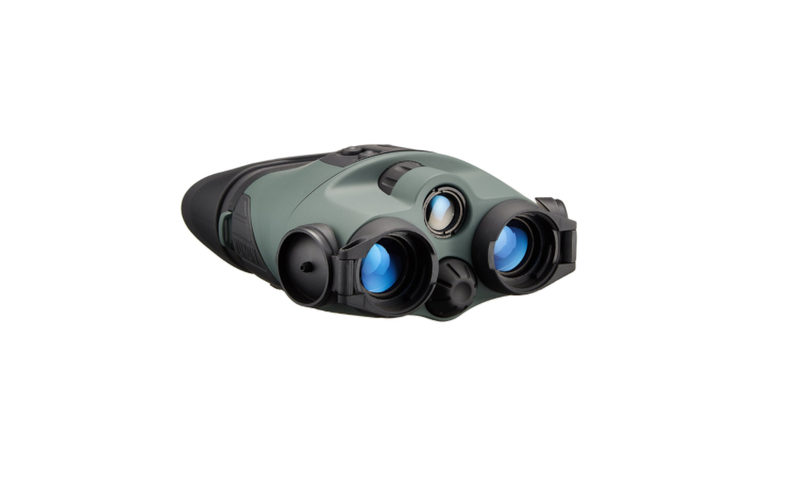 When it comes to night vision binoculars powered by generation-1 technology, you will find that the Night Owl Explorer Pro 5X is definitely up there with the top contenders. Of course, this also means that it has a hefty price tag to match all of its features, but if you have the spare cash to afford it you won’t regret the purchase. 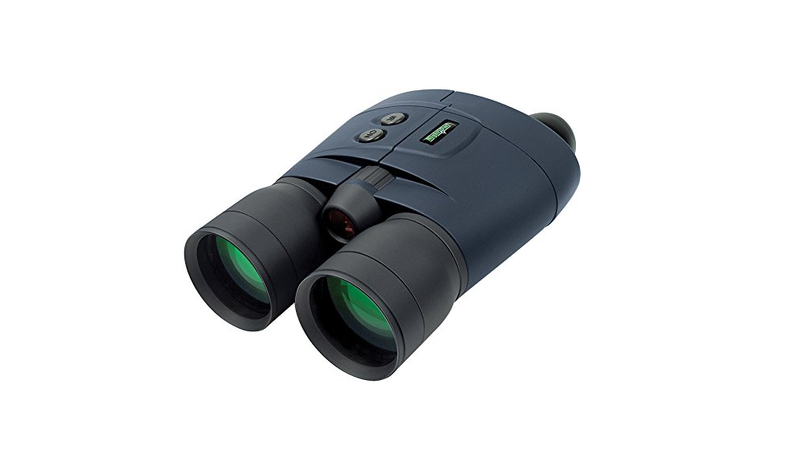 There are plenty of cheaper options available if all you want is a basic pair of night vision binoculars, but the Explorer Pro goes the extra mile when it comes to design and features which makes it a lucrative offer for anyone willing to invest in a quality product. It is a rather hefty investment though, so check out what this gear has to offer before you go see your bank manager. The Night Owl Explorer Pro 5X might be the top model in the Night Owl night vision binocular range, but it shares the same design style as the other products in the range. This means that it might not look as flashy as some other products, but it is the comfort, durability and functionality that counts which are all areas where the Explorer Pro 5X cannot be faulted. The 50 5mm multi-element glass optics are protected by durable lens housings which are made from impact resistant molded thermoplastic. These things can take a few knocks and still keep going which is crucial for something that is such a big investment. The body of the binoculars has a soft touch rubberized finish, which makes it very comfortable to hold and allows for an easy grip even if your hands are sweaty. The power and IR buttons are located on top of the binoculars for easy access, even in the dark and the central focusing knob is also within easy reach. The weight of the Explorer Pro is a bit on the heavy side, but considering the quality of the optics this is perhaps unavoidable. You get used to it after a while, but if you are upgrading from something smaller and lighter such as the Yukon Tracker you can expect to immediately feel the difference. 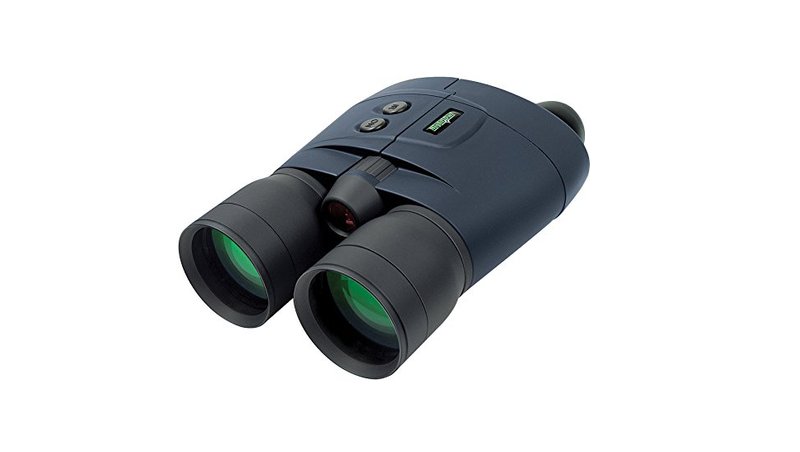 The binoculars use a 3-volt lithium battery to operate, which can be problematic due to the price and availability, but at least offers decent battery life. When it comes to features, the Night Explorer Pro 5X packs just about everything you would want from a generation 1 night vision binocular. First up is the 5X magnification, which I believe is the highest in the Night Owl range and allows you to get a good look at your targets even in the dark. The crisp viewing clarity of the Explorer Pro is thanks to the metal oxides and fluorides that have been used to treat the glass optics. These ensure that reflections on the glass surface are reduced while simultaneously increasing light transmission. The Explorer Pro 5X has two intensifier tubes to ensure that ambient light is used effectively in order to deliver great nighttime performance, as well as built-in infrared illuminators for vision, even in complete darkness. Like with other Night Owl products the range and clarity of the Pro 5X even without the IR illuminator switched on is really impressive. When it comes to an expensive product such as the Night Owl Explorer Pro 5X, you really want to weigh up the pros and cons before making a decision. These binoculars pack a lot of features, but you can get many of them on the much cheaper Night Owl Pro Nexgen as well, which makes it a hard product to recommend to anyone that is just looking for an entry level product. Take a look at a list of pros and cons about the Night Owl Explorer Pro 5X to help you make up your mind. If money is not an issue then the Night Owl Explorer Pro 5X is probably one of the best first generation night vision binoculars that you can own at the moment. Bear in mind that it is still a first generation product though, but if you want to work with the latest and greatest in night vision technology, you will probably have to join the military. The Explorer Pro 5X has a hefty price tag, but if you can find it for a bargain or have some spare cash that you are just itching to spend on a high tech gadget then you won’t be sorry. Anyone that just wants something to play around with instead of a serious piece of equipment should check out the Yukon Track 2X24 Night Vision Binocular instead.